Dr. Hadi Nur, Prof. Halimaton Hamdan, Assoc. Prof. Dr. Zainab Ramli, Assoc. Prof. Dr. Salasiah Endud and Assoc. 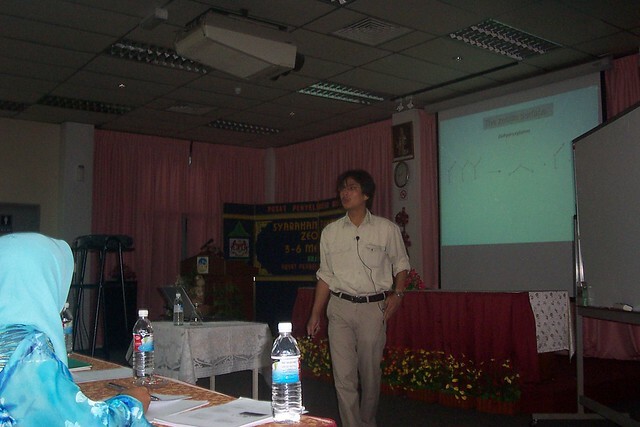 Prof. Mohd Nazlan Mohd Muhid are invited to give a lecture on “Synthesis and Characterization of Zeolites” to 25 researchers of Mineral Research Center, Department of Minerals and Geoscience Malaysia at Ipoh from 3 to 6 May 2005.